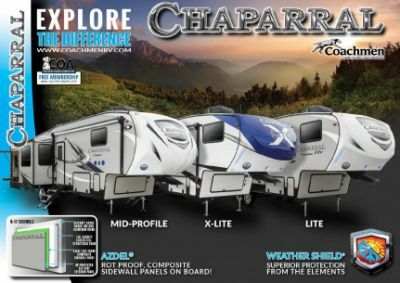 Make the most out of every season with the incomparable 2019 Coachmen Chaparral 336TSIK! It's an ideal 5th Wheel for long-distance trips and family camping adventures! You can find this quality RV at National RV Detroit, located at 44700 N I 94 Service Dr Belleville Michigan 48111! We sell top RV brands at wholesale prices, making us a top Detroit RV dealer! If you don't live near Belleville or the Detroit area, we can still bring your dream camper to you with our 24/7 delivery across North America! So give us a call at 734-439-3400 to start your road to RV fun today! The exterior of this dashing model features the 16' 0" awning, perfect for lounging under its shade! This rig has an impressive GVWR of 12200 lbs, as well as a hitch weight of 1880 lbs. Skip the fast food joints and cook up delicious meals in the kitchen, which has a roomy 8.00 cu. ft. refrigerator, 3 burner range cooktop, and a sink with clean drinking water from the 48 gallon fresh water tank! Every great RV needs a great bathroom. 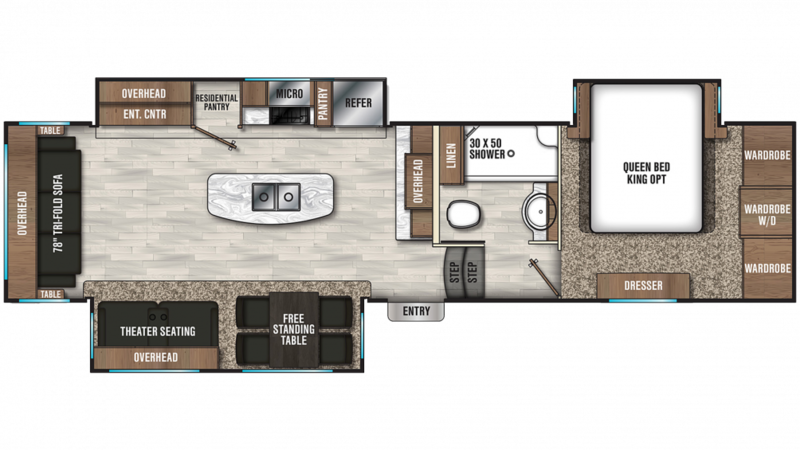 The full bathroom features a roomy shower and an easy to use Foot Flush toilet! With 60 lbs. of LP tank capacity, you don't have to worry about losing heat for your showers! Dirty water and waste are stored in the 90 gallon gray water tank and the 45 gallon black water tank, respectively.